Victoria Griesdoorn, Belinda Frisch, Colin F. Barnes, Ren Warom, Anne Michaud, Amy L. Overley, Kendall Grey. One of the most admirable elements of this read is the way the collective authors have pieced together a whole work. The eight stories contained here, combine and weave together to form a whole narrative; told from varying perspectives. It constructs a vicious post apocalyptic world full of suffering, with little hope in sight. The very stuff of nightmares, where the only imperative is to survive. And the chances of that are very slim indeed. This world begins with a steampunk-like tale, set in our world, in the not too distant future. This involves clocks and mechanisms and a summoning of dark insect forces from below. Slowly our world is consumed, or should I say humanity is consumed by giant predatory insects of all kinds, from ants and centipedes, through wasps and flies. These kill and maim and mate with humanity, producing unimaginable hybrids. Humanity, needless to say, is particularly fragile and ill-equipped for such an invasion. This might make it seem a far fetched premise, but essentially this a book about the very personal. These are human stories; stories of how ordinary people would act and react, feel and not feel, when faced with ultimate suffering. The collective authors take us on a journey across the world to tell these personal stories. From a pulsating volcano in Yellowstone park, to the dingy catacombs of London; from Japanese kids playing a wild gig in Hong Kong, to the last desperate medics in Moscow. And much more besides. I make no apology here for not detailing the plot or plots that are contained. I feel the reader should make their own journey. Personally it made me wonder how I myself would confront such horror, and that is the mark of good writing, when the reader feels empathy. I congratulate the authors. So I would recommend this book, its imagery still has me thinking, and I wonder where they will take this story next. Why not have a read yourself? 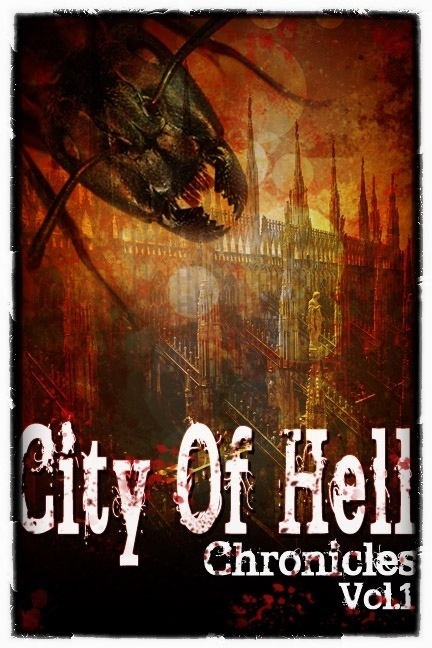 Just wanted to thank you for reviewing City of Hell Chronicles. I’m chuffed you enjoyed it and really appreciate the support. I hope you have a great Xmas and New Year!